The Reuleaux RXmini RESIN MOD from WISMEC is a typical TC box MOD with spring-loaded 510 thread, which allows it to work with most RDA/RTA/RDTA tanks. The Reuleaux RXmini MOD has a built-in 2100mah battery for max 80W power. The RXmini Mod is firmware upgradeable which you can find the detail process on Youtube. Also, we must mention that this TC mod comes with the dual circuit protection which ensures the safety when using. Well, you must notice its unique resin color, right? 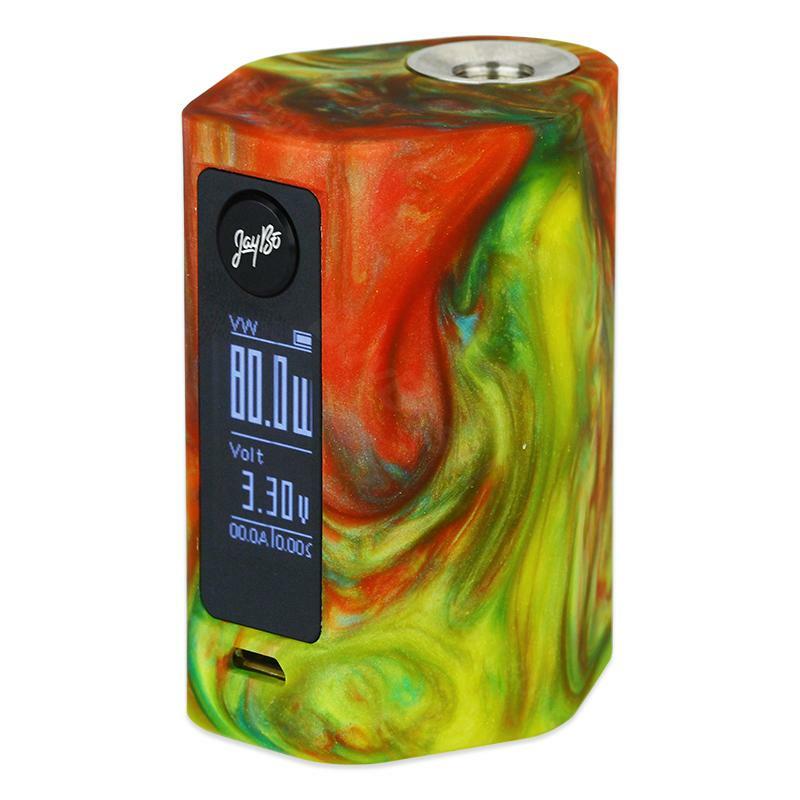 In fact, this box mod is made of a brand-new resin material, which ensures the light weight. This fashion Mod with the unique psychedelic patterns will surely make your e-cig a cool eye-catching staff too. Key lock function: While the device is on, simultaneously press the "+" "-" buttons. This will switch between Key lock and Key unlock function. Shift among VW/Bypass/TC-Ni/TC-Ti/TC-SS/TCR modes: Press the fire button 3 times, the mode indication will flash to indicate you enter into the menu. Press the right regulatory button to switch between VW/Bypass/TC-Ni/TC-Ti/TC-SS/TCR modes. Press the fire button or leave the display to flash 10 times on current setting to confirm and exit the menu. • The resin style RXmini comes in a fashionable looking and each one has its own unique psychedelic pattern. We could not guarantee the product has the same pattern and color as that in pictures. We can only ship orders randomly. Hope you can understand. Mit WISMEC Reuleaux braucht man weniGerätabak, kürzeres rein drücken vom Tabak ,alles geht flotter. Bin mehr als begeistert! Now this 80W WISMEC Reuleaux RXmini RESIN TC MOD is my favorite!! lol, pretty good!